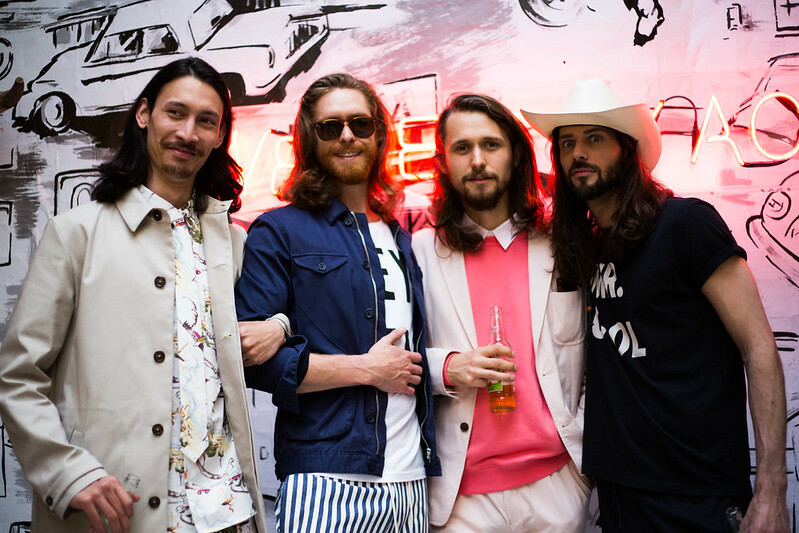 Hentsch Man's presentation for spring/summer 2014 had an air of the Wild West, circa 1970s. Guests were sipping on bottles of Desperados, and the models - who remarkably resembled the Bee Gees - gave their best at barn dancing, while neon signage glowed hot behind them. The collection itself was an assortment of pinstripe and pastel shades, slogan t-shirts and check shirts, all-over prints and sharp tailoring.